Elisabetta is very beautiful!. Since she is married to Amedeo, what title(s) does she have? As you can see from the previous posts in this thread, the issue of her titles is still unclear and disputed. For sure she is HI&RH Archduchess Elisabetta of Austria-Este, Princess of Hungary and Bohemia, etc; as for her Belgian titles, it is still unclear what it is and the Belgian Court still hasn't provided any clarification. I assume that Donna Elisabetta fell in love with Archduke Amedeo, vice-versa. But they are two people on the same social stage who have found each other. These two blue-blooded people met each other exactly because they are on a social level which they share. Then about the couple living a life like "commoners". That happens to be the reality for almost all royals except the reigning couples and their heirs. In many royal families (the Netherlands, Luxembourg, Norway, Sweden, Denmark, etc.) royals are expected earn their own living when they do not belong to the very core royal family. Amadeo is no longer in the line of succession (as he got married without requesting the King's approval) and AFAIK his wife is not a princess of Belgium. 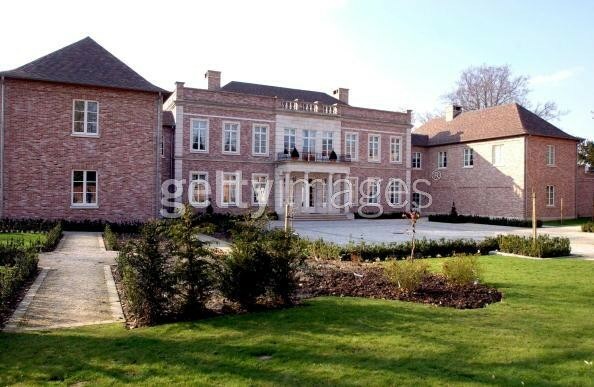 I don't see why they should live then at the Royal Domain of Laeken off taxpayers' money. On a related note, there seems to be extensive reporting about the personal net worth (excluding state/Crown-held assets) of the Windsors, the Orange-Nassau and the Bernadottes for example, but the personal finances of the Belgian Coburgs seem to be shrouded in mystery. The Belgian RF is supposed to have accumulated a great fortune back when Leopold II personally ruled the Belgian Congo, bur it looks like most of that fortune ended up being transferred to the Belgian State or was lost in inheritance taxes and marriage agreements. Does anybody know for sure or at least have an estimate of the personal net worth of the Belgian RF and how that compares to the supposedly "wealthier" ruling families of the UK or the Netherlands for example ? Amedeo and Elisabetta attended this weekend the wedding of Count Philippe of Limburg-Stirum and Countess Caroline von Neipperg in France. Lili looks elegant as usual, but that's rather a somber looking dress to wear to a springtime wedding, even with the red accessories. That photo of Amedeo and Elisabetta is so sweet. She looks beautiful with Princess Laurentien. Soo tall women. I searched more pics from that day and found one of her and her mother in law Astrid. They look very close. Amadeo and Elisabetta attended the wedding of Count Philippe of Limburg-Stirum and Countess Caroline von Neipperg last Saturday. This young couple brings JOY in the so difficult Relationship between our Royals. She has continued to report for Bloomberg. 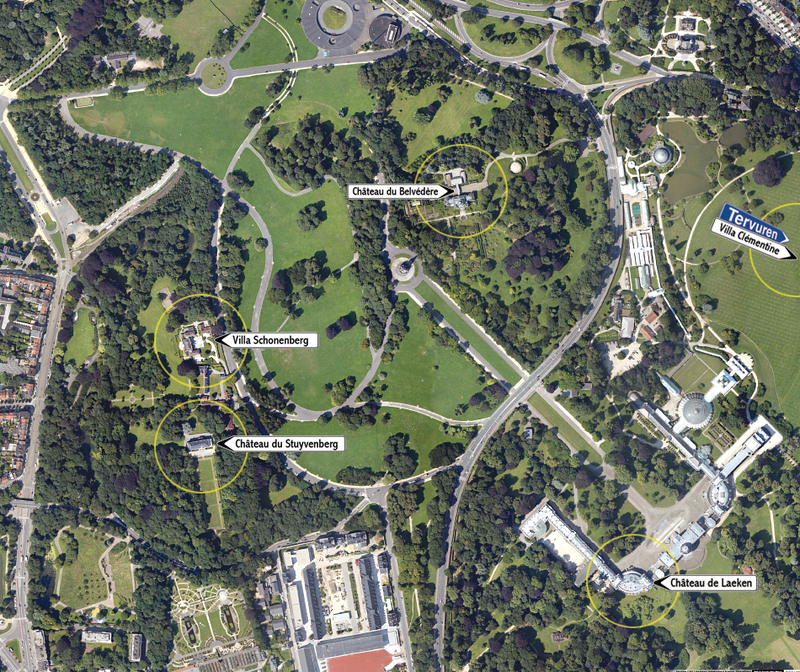 The Royal Domain of Laeken is not "off taxpayers' money" but is part of the enormous Donation Royale (Royal Gift) of King Leopold II to the State of Belgium, with a condition for certain estates (like Laeken) to remain at the disposal of the King. The Donation Royale is an independent legal entity which manages and administers the many estates, assets and portfolios which were once privately owned by King Leopold II. In principle the Donation can manage itself thanks to the working capital given by the King and the exploitation of the properties. The Donation Royale can rent out lands to tennant farmers. They can rent out forests to forestry companies. They can rent domains and lakes to a water company to deliver fresh drinkwater to households. They can lease out historical buildings to serve as office. They can rent out porperties, whatever. 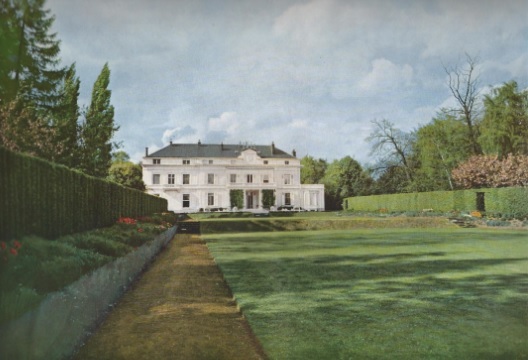 For an example to Archduke Amedeo... As long as the KIng's gift is respected (so the Château du Stuyvenberg can not become a "private club" for gentlemen, just to name an example). It must always have a dignified use. Amedeo and Lili attended the Borromeo-Casiraghi wedding this weekend. I doubt Amedeo will rent any property from the Donation Royale. Given his present income as a business analyst, I even doubt he could afford it. Elisabetta, on the other hand, comes from a very wealthy family. 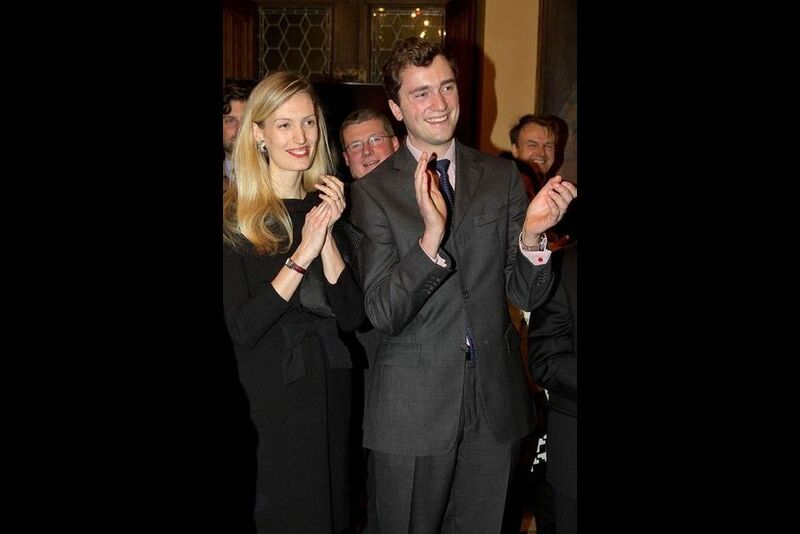 The blogger karinna_87 kindly provided two photos of Prince Amedeo and his wife. I have to say that Princess Elisabetta did not look good on the second photo. Her ensemble was unflattering. Today, the Donation Royale is an autonomous public institution whose board of directors is composed of officials of the palace, officials from the Department of Finance and bankers. Except for the management of properties which are accessible to the public, this institution is financially independent: it receives its income from the rents it receives for its properties and from income out of investments. The Donation Royale is an autonomous institution and finances its own activities, so it does not weigh on the taxpayers. According to an article in a Belgian newspaper, Amedeo got his right to the throne back. He asked for permission to wed Lili on 15 september. King Filip granted this so prince Amadeo is again sixth in line to the throne. I think the only reason that Amedeo didn't ask (was told not to ask) the king's consent was that they didn't know what title should his wife and future children have. Now that the King and the government have reached a decision about who will get the title of Prince(ss) of Belgium, the issue is solved and Prince Amedeo was told to ask for permission for his marriage.